Use code SPRINGFUN2019 & save $$ online~Pet & Budget Friendly~Outdoor Pool! Located in the heart of Gulf Shores, this two bedroom/ two bath unit is located across the street from the beautiful Gulf Coast beaches. Sandy Shores West offers ceramic tile throughout, nice furnishings, fully stocked kitchen, and views of the Gulf and Little Lagoon. The living room offers a sleeper sofa and loveseat with television. The master bedroom offers a king size bed with dresser and walk-in closet. The second bedroom offers a queen bed with chest of drawers and ample closet space. Tasteful decorations make this unit very relaxing! Sandy Shores West is centrally located between Mobile and Pensacola. Biloxi, MS Casinos are only two hours away! Need more space? 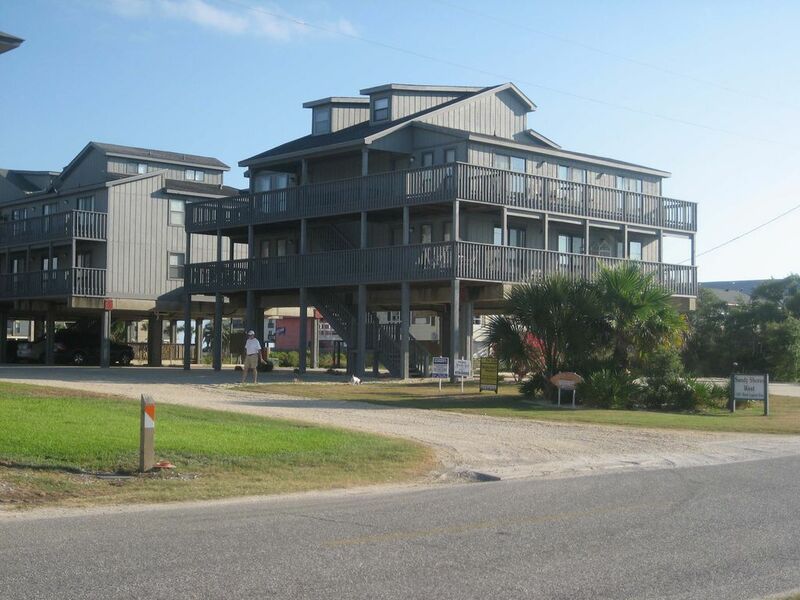 Luna Beach Properties, LLC manages two units @ Sandy Shores West! Future renters beware! If you're looking for a clean, well-maintained rental property, you better look elsewhere. I rented this property for my family for my girls' spring break week (it was a fall-back rental as my original rental via VRBO was cancelled by the owner 2 months prior to our stay, which left me scrambling to find a place-that's a whole other story!!). Being it was a "second choice" I knew it was not directly on the beach like our first rental was. That was not a concern as I was just happy to have a place to vacation with my family, including our two dogs. Our issues with this rental were it was neither clean nor well-maintained. -The ceiling fans were covered in dust. Therefore, we never turned them on. -Our master bath had a moldy shower curtain an d the floor was gross. We even found a razor blade plastic cover behind our bathroom door. -The screen door in the living room had a huge hole in it and we were missing a screen door entirely in the master bedroom. -There was a lot of dust under the furniture, including the beds. -We also found food (for example Goldfish crackers) under some of the furniture. -The outdoor deck furniture was old, torn, and moldy. Therefore, we never got to enjoy sitting outside. There were some positives about this place. -The kitchen had nice granite counter top and the fridge was stainless steel and was clean. The coffee maker was nice. -The location was decent as it was close to the beach and some shopping and restaurants. FYI We did call the rental company and we got a response from one of the agents that this is an "older" property. However, cleanliness should have nothing to do with the property's age! The rental company did send a cleaning person during our stay, which was big inconvenience, and unfortunately the place was still not cleaned well. Obviously this place was not cleaned in the least before we arrived and therefore was very disappointing. We still made the best of our vacation in Gulf Shores. I would come back to this area for sure. I would just not stay in any rentals owned by Luna Beach Properties. I stayed at this condo (as a repeat customer) for a week in April. It was absolutely wonderful. All the upgrades really helped to make this vacation an even more enjoyable experience. The large refrigerator has lots of room. The kitchen countertops are beautiful. I loved the new king bed. And the décor in all the rooms is very appropriate. It's obvious the owner takes great pride in this unit. It is easily accessible to the beach/lagoon and is very quiet. The property manager is very nice/helpful; the unit was spotless. I HIGHLY recommend this condo and will ask for this specific unit for my next vacation. Happy customer from Texas!!! I've stayed here several times, and plan to stay again. I love that I can walk to the beach, or I can walk to the lagoon, I can walk just about anywhere! Even to Ike's Beach Rental, where I can rent a kayak and cruise around the lagoon. Or I can walk over to Bahama Bob's and have the best fish sandwich ever! Great for pets, plenty of green space, and no carpet is a definite plus when it comes to muddy/sandy paws. I'll be back next year. everything fine have stayed here before and will stay here again recent updates are very nice. A perfect and affordable beach stay! Sandy Shores is in a great location with amazing balcony space. Interior is decorated very nice and clean. Property Management is very easy to work with. Being able to bring our small dog was the main reason we selected Sandy Shores and we are very happy that we did!! Minimum Age Limit for Renter is 25! Rates listed above do not include: Departure Fee $115 + tax Processing Fee $45 Lodging Tax 13% Damage Waiver $49 Pet Fee $100 per pet plus tax ( up to 2 per resevation) Please use the BOOK IT button to reserve your reservation today!